So when I was building my perch stool, I very much missed having a spokeshave to help fare the outside curves. The other piece of equipment I felt I needed and didn’t have was a travisher, but I’m still working on that one. At some point I had had a metal one (a Stanley copycat I think), but after tearing my shop apart in the middle of the build I have decided it walked out on its own somehow. Anyhow, I had been eyeing the Veritas kit for the large spokeshave on Lee Valley’s site for a while, and after my frustration with the build I ordered the kit. 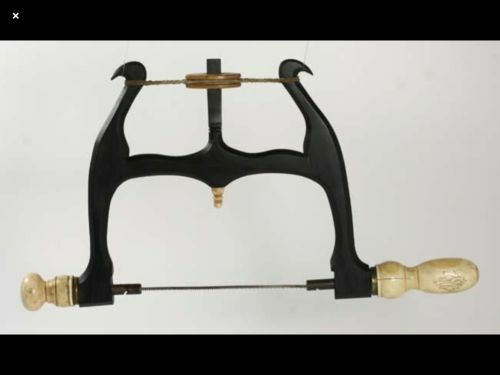 I had also been wanting to make a tool out of ebony ever since seeing a bow saw made out of ebony. When I priced out the wood for a bow saw I nearly had a heart attack. 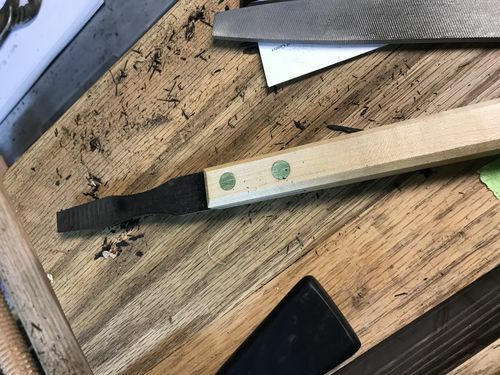 This was for sale on Jim Bode tools (it’s been bought) and it was posted on Pinterest under woodworking. 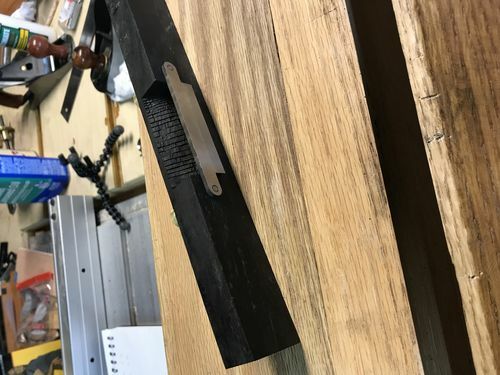 Anyway, I had a little extra funds available for woodworking so I splurged on a blank of ebony. Not an easy wood to work with hand tools (or any tool for that matter). 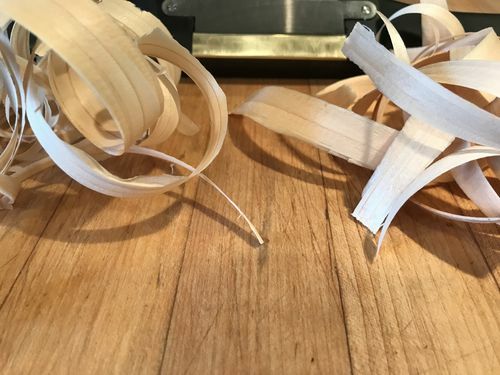 At first I thought I couldn’t cut it with my low angle jack plane, but after sharpening it I was able to take shavings, but only for 20-30 passes before I had to hone the blade again. I couldn’t get my #4 (Veritas with a PM-V11 blade) to take a cut at all. It’s bedded at 45 degrees and the low angle jack actually had a high bevel blade in (I think the combined angle was 55 degrees). I had a hard time with my chisels too (PM-V11, the O1 steel wouldn’t cut at all) and splintered a cut at one point. The directions from Veritas were very complete and had power and hand tool options, but I don’t think the design was made with such a hard wood in mind. These are the only pictures I took of the build. Nice shave. Sounds like you learnt a lot along the way and ended up with a great tool. These are all wonderful shop made tools and so nicely done. They are real eye catchers. Great job. I haven’t used ebony much but I love working it with hand tools. It can be silky smooth to plane, or chip out on you, it’s a genuine challenge. If you’re patient, the end result is beautiful, as you’ve got here. Thanks all! JADobson – getting the right piece was actually not the easiest find, you might need to be involved. After trying the spokeshave for a while I realized the mouth was too tight. In full disclosure, I didn’t actually follow the instructions there and actually had made it tighter than instructed. It wasn’t taking the shavings I wanted even with the blade extended. 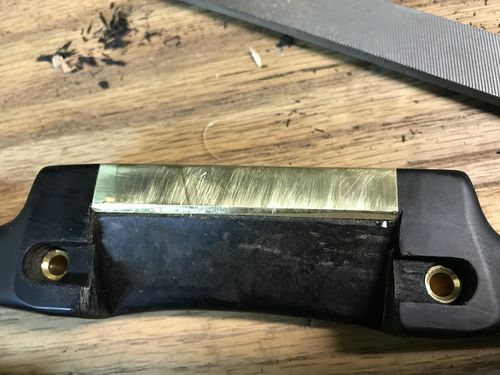 With the build, there was a bit of a ledge between the 45 of the tool body and the 45 on the brass wear plate. I also noted the right side was maybe a 32 to 64th wider (the plate was slightly angled). 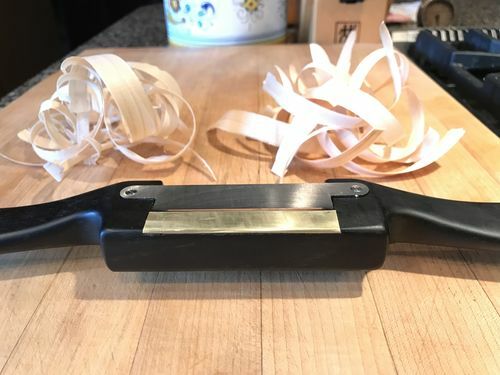 I had gotten some planemaker’s floats from Lie Nielsen for my birthday from my family and used the small cheek float to bring the bed down toward the brass. Then I took down the left side of the brass plate slightly to even up the opening. You can see how I took off material. 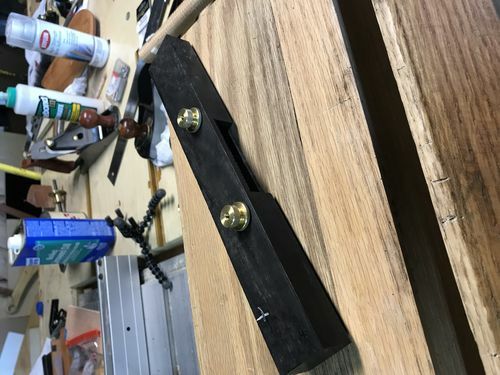 The brass looks uneven but now presents a flat even register to the wood. I now need to re-sand and re-coat the area in BLO and Paste Wax. Left side set for thin cut (soft and thin, they crumple when compressed), right side for thicker/coarse cut (thick and hard, they break when compressed). Just used it to taper my Mahogony end table legs… working great when not cutting up hill. The grain direction changed so much though it was a bit of a pain.